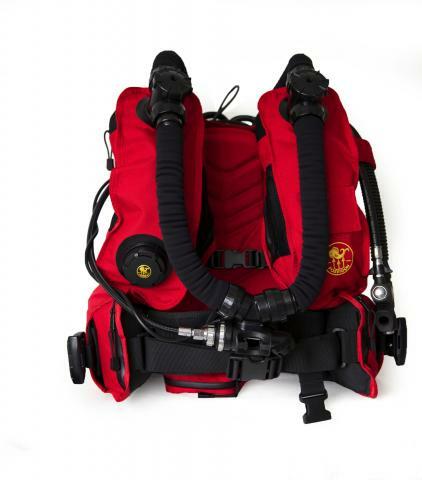 Poseidon’s Rebreather BCD is the first of its kind featuring integrated exchangeable lungs, a weight system and the Poseidon individual patch system. The Rebreather BCD is constructed to the highest quality and durability using ballistic nylon, YKK zippers and hand crafted detailing. Available in 4 colors. Are you new to rebreather diving or just prefer a BCD over a wing? 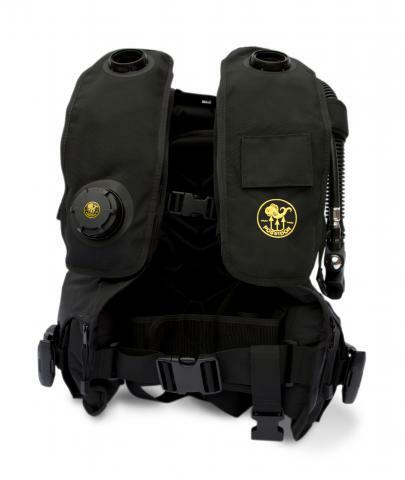 Then the Rebreather BCD is the perfect buoyancy compensation device for your Poseidon rebreather experience. A durable and high performance BCD with integrated lungs, which will make you feel even more connected to your machine and the breathing loop. The four D-rings make it easy to attach a bailout tank or anything else you would like to take along. 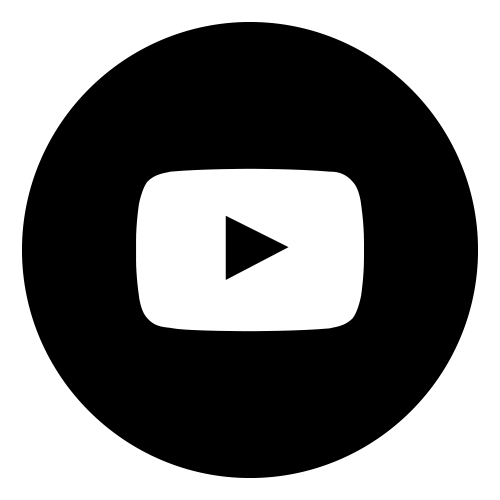 The integrated exchangeable lungs can easily be taken out and cleaned and attached again. With the individual path system you will have the option of personalizing your Poseidon Rebreather BCD. Material: Premium black version in Nylon 1680. 3 color versions in red, blue and grey made in Cordura 1000. YKK Waterproof Zippers. Inflator with stainless steel mechanism.